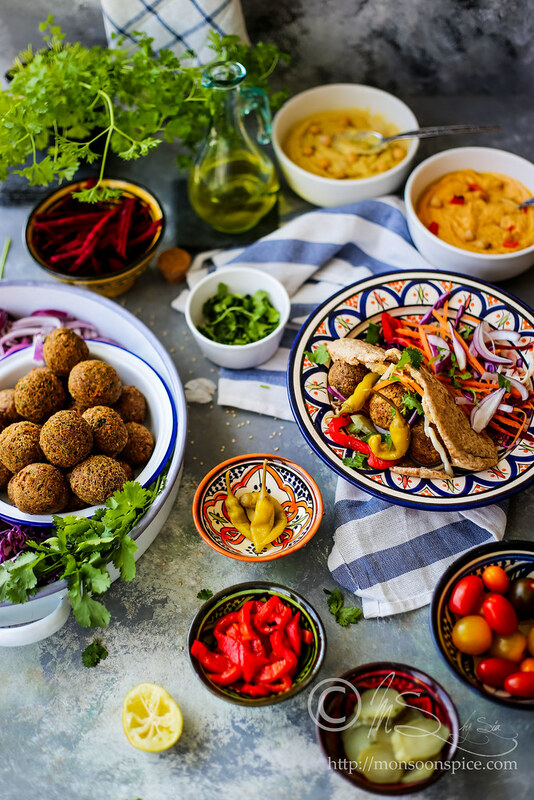 Arabs and Jews have been disputing about falafel since the first Zionists arrived in Galilee at the beginning of the 20th Century. 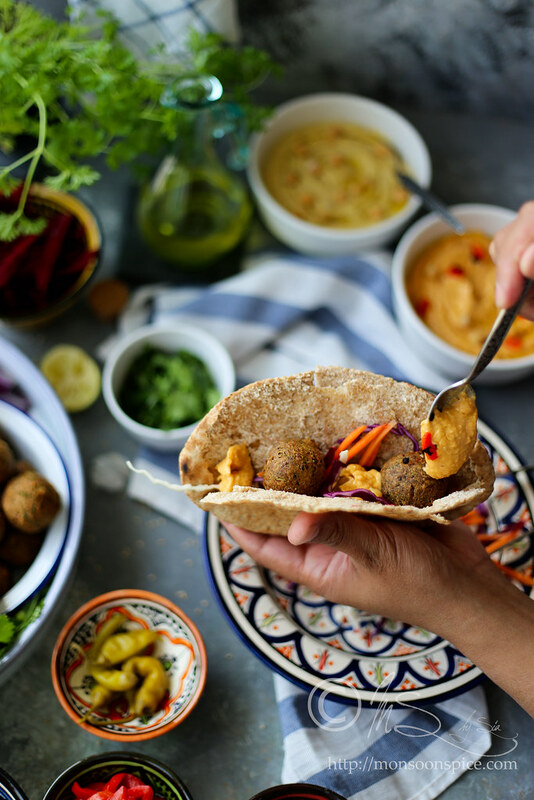 Since cooking oil wasn’t readily available until well into the 20th century, today’s chickpeas falafel is relatively new dish despite its ancient ingredients. It is said that when an enzymatic deficiency called favism started to appear it proved to be lethal in some cases, and hence some Jews, mainly from Iraqi and Kurdish descent, who migrated to Israel during mid 1900’s stopped using fava beans and replaced it with chickpeas common in the Levant and transformed this ancient treat into the Israeli national street food. The fritters are now found around the world as a replacement for meat and as a form of popular street food. 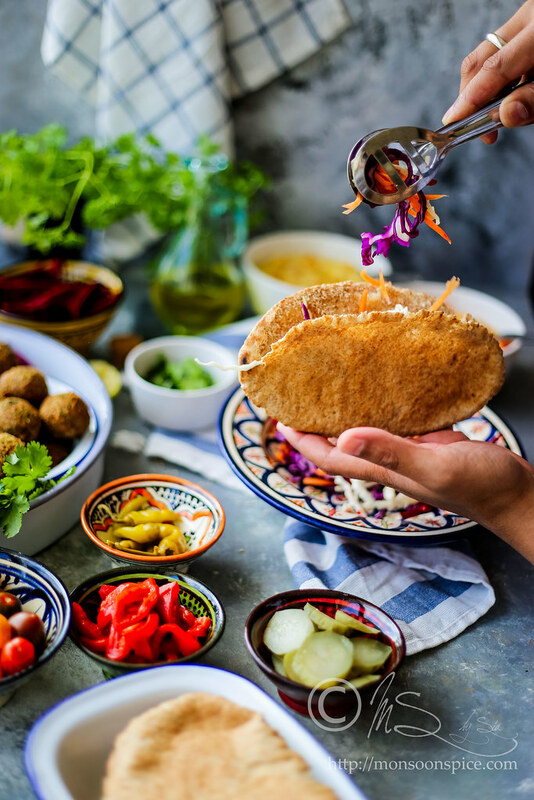 Falafel are traditionally fried despite some baked recipe versions you will find today for those looking to cut calories. But in all sincerity, a baked, or even airfried, falafel would not be an authentic falafel! 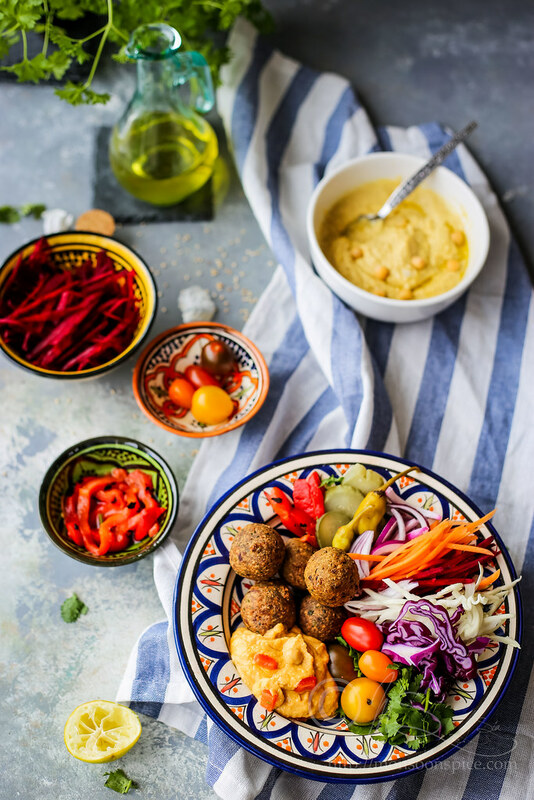 Traditionally, Falafel is served as one of many mezze, an array appetizers or snacks from the Middle East and Mediterranean, quite like the Spanish tapas. But today the ‘sandwich’ version has become more popular where it is served in pita pocket along with hummus, salad and drizzled with tahini, yogurt or assorted sauces. I love to sink my teeth into generously stuffed Falafel-Pita Sandwich with assorted vegetables and pickled chillies while husband prefers it in a neatly arranged Buddha Bowls with toasted pita chips in the side. And as for LD, well he is a happy camper to much it on its own doused in hummus and tahini along with lots of carrots and cucumbers cut into fingers to dip in a bowl of hummus. Whatever way you want to serve it or eat it, you can’t help but fall in love with this little deep fried fritters. And lucky for us, it is no rocket science to make them at home as most ingredients can easily be found in any well stocked Indian kitchens. 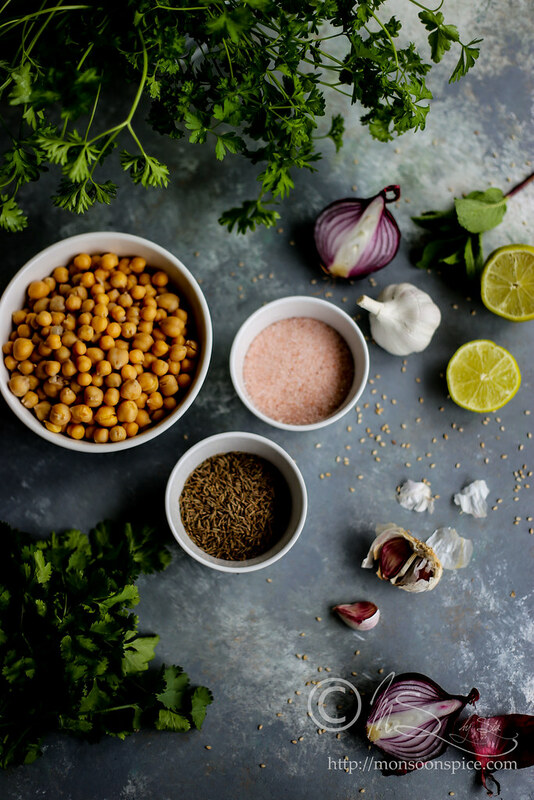 All you need to make falafel is some chickpeas or kabuli channa, onions, few cloves of garlic, handful of fresh herbs, and few spices! Sounds simple?! Well, it IS simple! 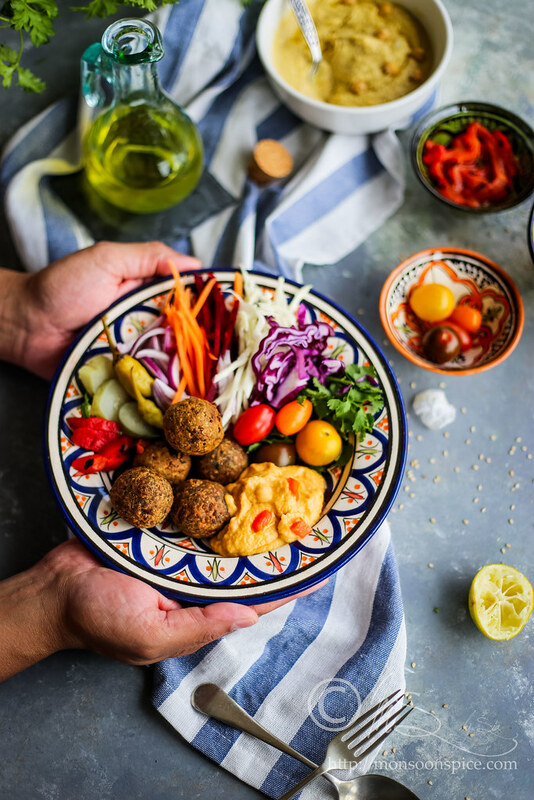 If you are short of time, just grab that canned chickpeas and crispy and oh-so-delicious falafels will be ready under 30 minutes! 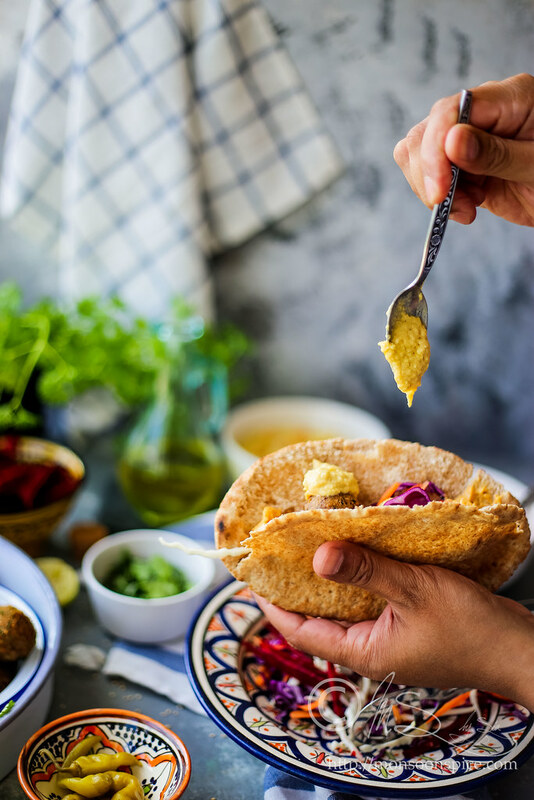 And it takes less time than that quick trip to supermarket to make your own hummus and tahini sauce to serve along the falafel to make it a complete, wholesome, awesome meal. 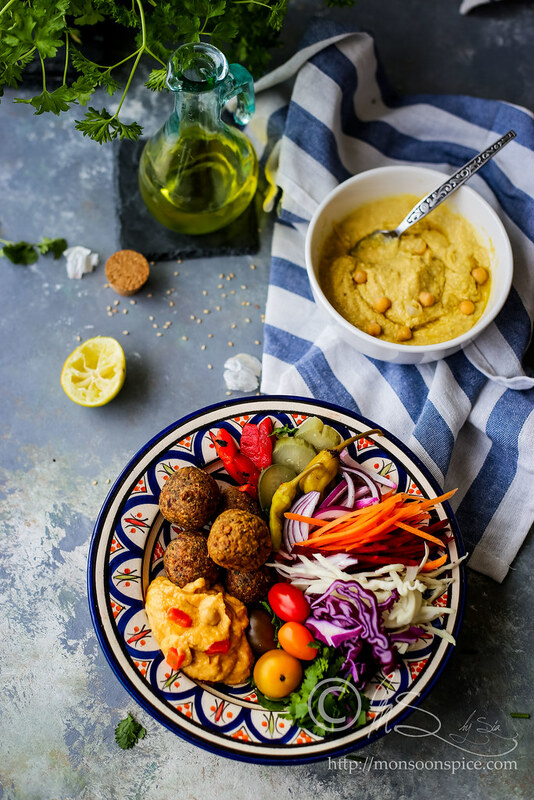 I have tried my best to give you detailed recipe to make falafel, hummus and tahini at home without breaking your back or budget. :) Although at first it may look little daunting looking at the lengthy list and procedure, do trust me that it will not take more than 45 mins is you follow my instructions clearly. 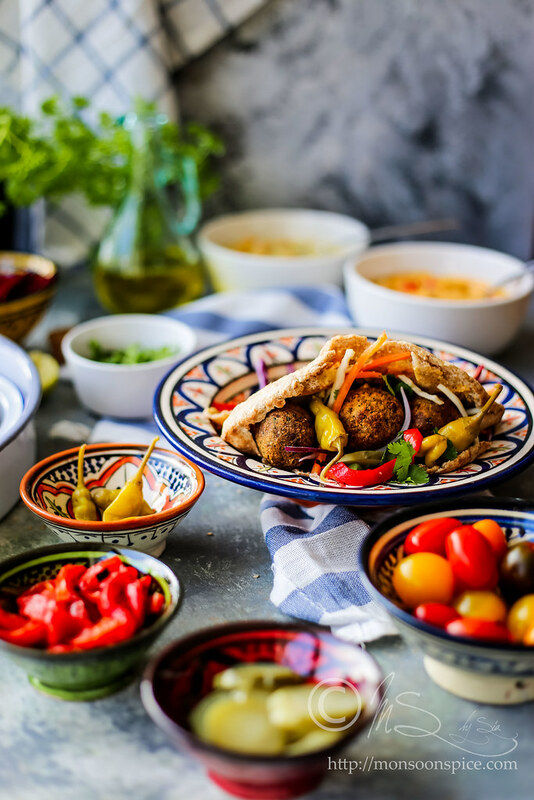 It indeed is one of the easiest and tastiest things you can make for your family and friends, and also make an amazing mezze for little parties. There is one thing I would like to suggest before I sign off. When it comes to eating Falafel-Pita Sandwich, it’s hands only job and there is no place for that knife and fork. Just make sure you have plenty of napkins nearby to wipe away the sauces and salad juices that will be dripping down your chin, especially if this is your first encounter with a falafel. ;) Dig your teeth into soft, crunchy, crispy and saucy sandwich and just enjoy the experience as this food has a power to excite, inspire, astonish, shock, delight and impress. Soak the chickpeas overnight and cook them with little salt and a pinch of sodium bi carbonate until they are soft and cooked through. For roasted red bell pepper hummus, halve the bell pepper and place them (cut side down) in a roasting pan. Drizzle some olive oil and pinch of salt and roast them for 20-25 mins at 200 deg C (in pre-heated oven) until the skins are completely wrinkled and the peppers are charred. Make sure that you flip halfway to cook evenly. Alternately, you can roast them in a grill pan on stove top or simply roast them on direct flame by wrapping them in aluminium foil for 5-10 mins. Remove the skin and keep it aside until needed. You can roast the sesame seeds in an oven or just pan fry them. To roast them in an oven, preheat the oven at 180 deg C. Spread the sesame seeds on oven tray and roast them for 3-4 mins, shaking in between, until it turns golden and fragrant. To roast on pan, dry roast the sesame seeds in pan until they turn golden and crisp. Transfer to a dry bowl and let it cool down to room temperature. Take cooked chickpeas, roasted sesame seeds, chopped garlic, freshly squeezed lemon juice and salt to taste in a food processor. Turn on the food processor on at low speed and pour in olive oil while it runs. Add about ¼-½ cup of water to get smooth and creamy mixture. Tip half of the hummus to a serving bowl and drizzle with a tbsp. of extra virgin olive oil. For the remaining hummus, add chopped roasted bell peppers to the food processor and grind them until the mixture is fully combines and creamy. Transfer the mixture into serving bowl and drizzle with remaining tbsp. of extra virgin olive oil. Cover the bowls with a cling film and pop them in refrigerator until required. If you are short of time, use canned chickpeas. Drain the water and rinse the chickpeas couple of times before using. But there is a difference in taste and flavour when made using freshly cooked chickpeas. You can use tahini in place of roasted sesame seeds. Tahini (or "tehina"/"thina" in Arabic and Hebrew, "tahin" in Turkish, French, Dutch and Danish) is a paste made from ground sesame seeds. It is a major ingredient in hummus and other dishes from the Middle East. Tahini comes in two varieties — 'hulled' and 'unhulled'. Both types are relatively high in vitamins and proteins. Unhulled tahini is quite bitter but has a much higher proportion of vitamins, calcium, and protein because the sesame seeds are ground whole. You can either buy tahini from supermarket or regional speciality stores, or make it at home. It just needs two ingredients, sesame seeds and olive oil. To make this, preheat the oven at 180 deg C. Spread about 1 cup of sesame seeds on a shallow baking tray and bake, shaking frequently, until fragrant, about 3-4 minutes. Make sure that you do not brown. Alternatively, you can also use pan for dry roasting sesame seeds until it turns light golden. Cool the roasted sesame seeds and put them a blender or food processor. Add the 3-4 tbsp of olive oil and grind to a smooth paste. Add more oil if necessary, to bring the paste to a thick pouring consistency. It keeps fresh when stored in an air tight jar in the refrigerator for couple of months. You can also add a tsp of paprika when making hummus for colour and little kick of spice. Some even add a tsp of cumin seeds when making hummus for flavour. 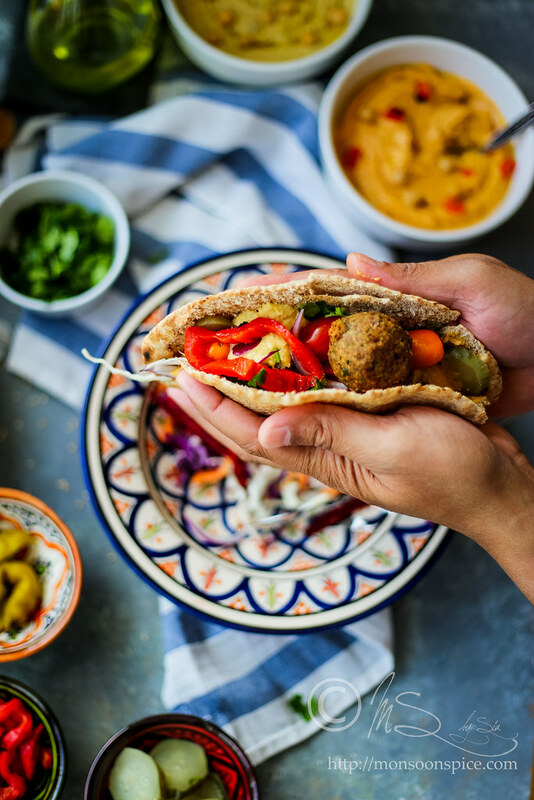 You can serve the Hummus with Falafel-Pita Sandwich. You can also serve this as a salad dressing, or in Buddha Bowl. I make hummus quite often and serve it along with sticks of celery, carrots and cucumber as after school snacks for LD. It also makes an excellent dip for chips, tortillas or pita chips. 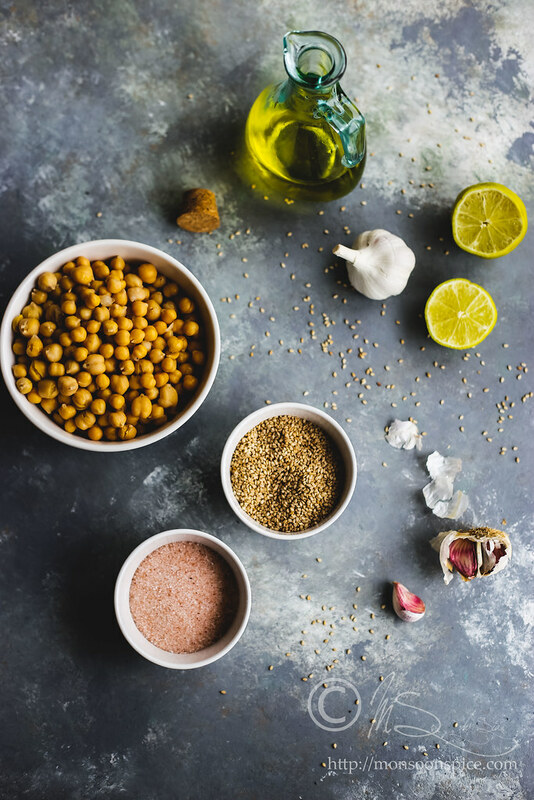 Soak chickpeas overnight and cook them with a tsp of salt and pinch of sodium bi carbonate and enough water until they turn soft and easy to crush when pressed between two fingers, but retain their shape. I prefer to cook them in a pressure cooker for 2-3 minutes which takes around 10-13 minutes on medium flame. Drain all the water from cooked chickpeas and bring to room temperature. Alteratley, you can use canned chickpeas. Drain all the water and rinse them under running water. While chickpeas are cooking, prepared the vegetables for the falafel. Peel and finely chop the onions. Peel and finely chop the garlic. 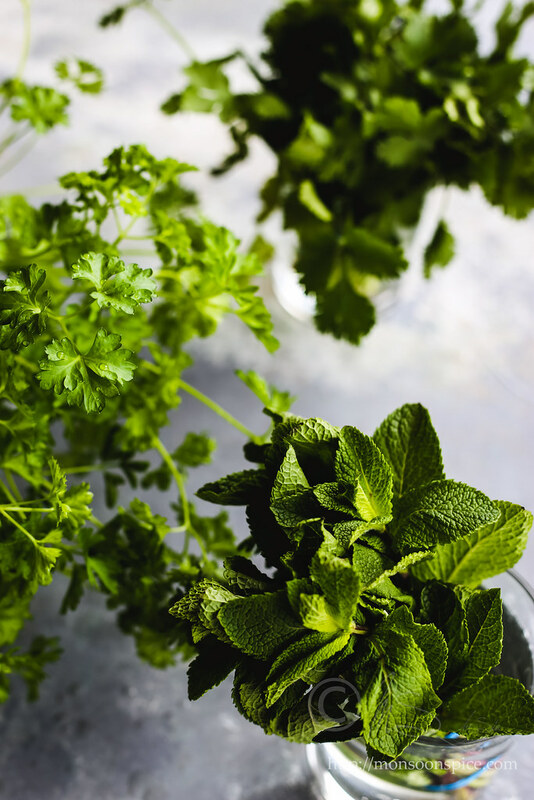 Wash and roughly chop the parsley and coriander leaves and tender stems. Wash and finely chop the mint leaves (don’t use stems). Crush the peppercorns in a pestle and mortar and keep it aside. Take cooked chickpeas, chopped onions, garlic, parsley, coriander leaves, mint, crushed peppercorns, cumin and salt to taste in a food processor. Tip in corn flour or plain flour (roasted chickpeas flour for gluten free), baking soda and lime juice and grind them all to get crumbly, coarse mixture (see the photo above for reference). Transfer the mixture to mixing bowl and mix them all well with hands to make sure everything is combined well. Heat oil in a deep fryer or frying pan on medium flame. While the oil is getting heated, pinch a small lime sized balls and roll them into balls. To test, first drop just one chickpea ball into the fryer and see if it holds shape without breaking. If starts to break down and scatter, it means you need to add little more plain flour/corn flour/chickpea flour to the mixture. Add about ½ cup of flour and repeat test again to see if it holds shape. If not, add some more flour to the mixture. Drop the chickpea balls into the fryer and fry them in batches until they turn golden brown. Don’t crowd too many in a fryer as you will end up having half fried falafels. So best to fry them in small batches to get crispy, golden brown falafels. Drain them and place them on a plate lined with kitchen paper. Repeat until you fry all the falafels. While you deep fry the falafels, prepare all the veggies. I have used thinly sliced white and purple cabbage, julienned carrots, sliced red onion, julienned beetroots, cherry tomatoes and finely chopped parsley and coriander leaves. 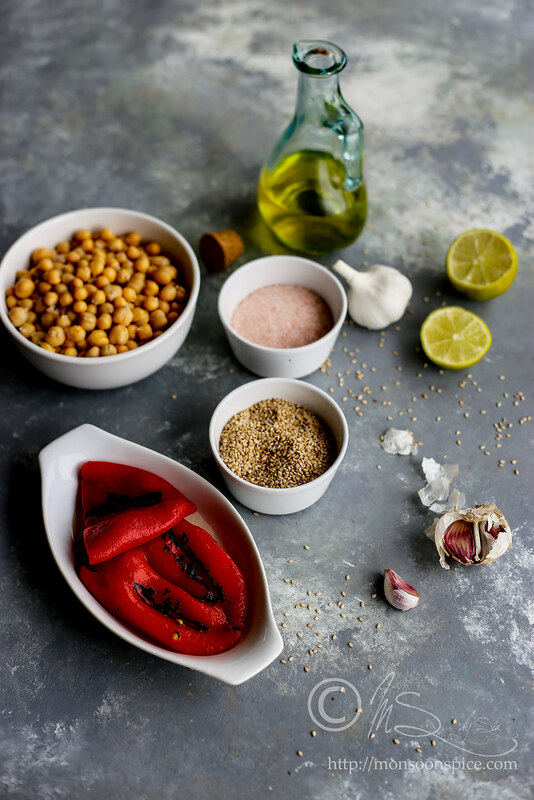 I have also used sliced roasted red bell peppers, pickled chilli peppers, gherkins (pickled cucumbers) along with chickpeas and roasted bell pepper hummus to add punch of flavours. 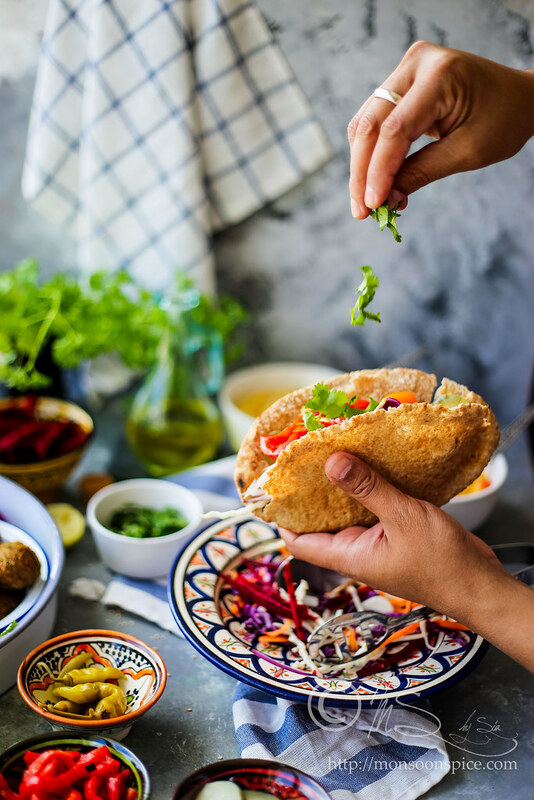 You can use either tortillas for making falafel wraps or pitta bread or serve them with salad as a Buddha Bowl or Hippie Bowl. 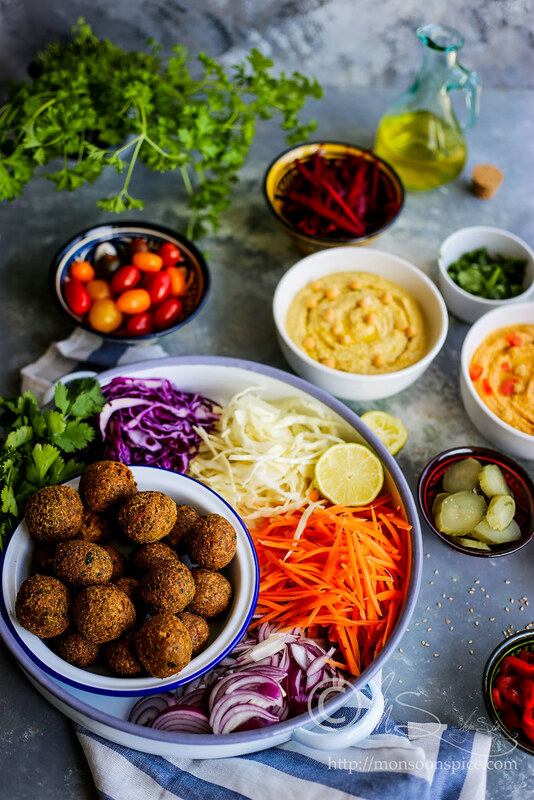 For wraps or pita sandwich, start by spreading the hummus, followed by arranging the salad and finally with falafel balls. 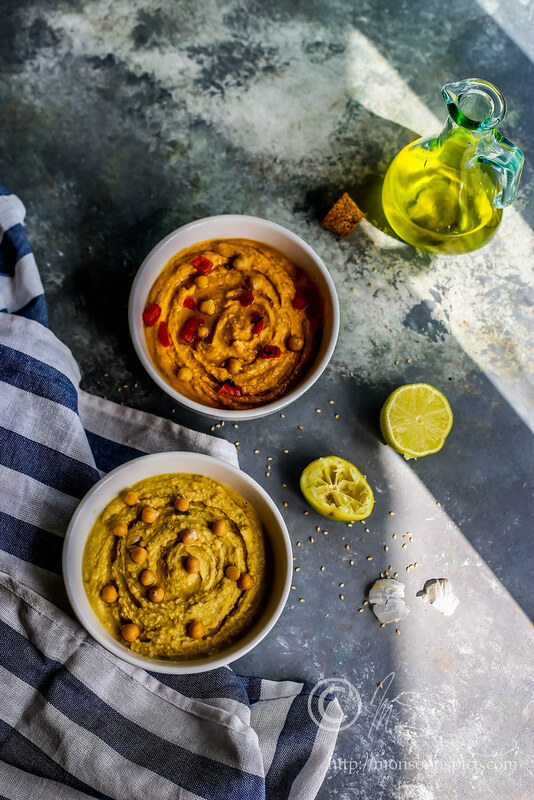 Top it with some more hummus and garnish them with pickled chillies, roasted bell pepper, gherkins and finely chopped parsley and coriander leaves. For Buddha Bowl or Hippie Bowl, arrange the chopped, sliced, julienned or spiralized veggies artistically around the bowl. Make a simple dressing of freshly squeezed lime juice, extra virgin olive oil, very finely chopped parsley, coriander leaves, mint and salt to taste. 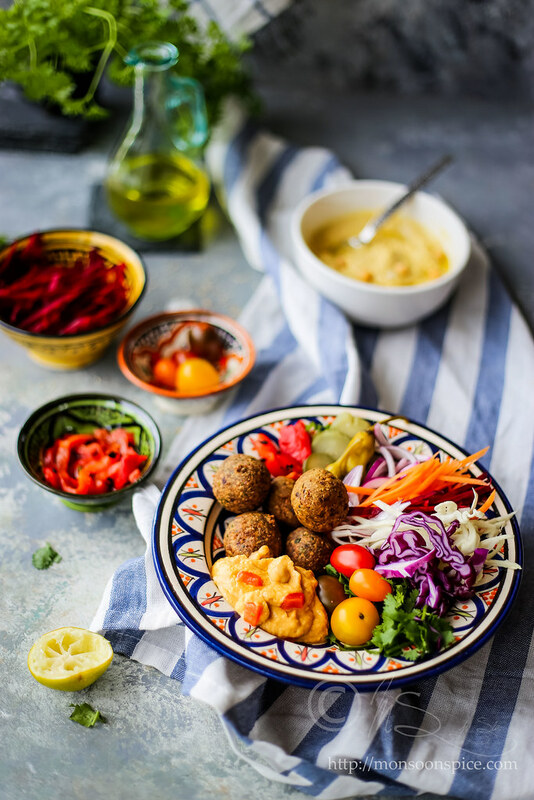 Add hummus, falafel and pickled chillies or gherkins and serve them as a wholesome and tasty meal. Enjoy! 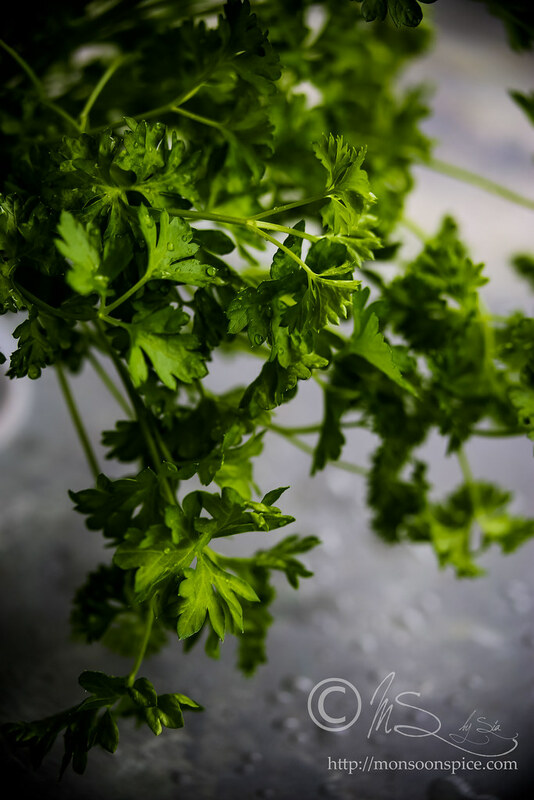 If you can’t source fresh parsley, use about a tsp of dried parsley or simply skip it. 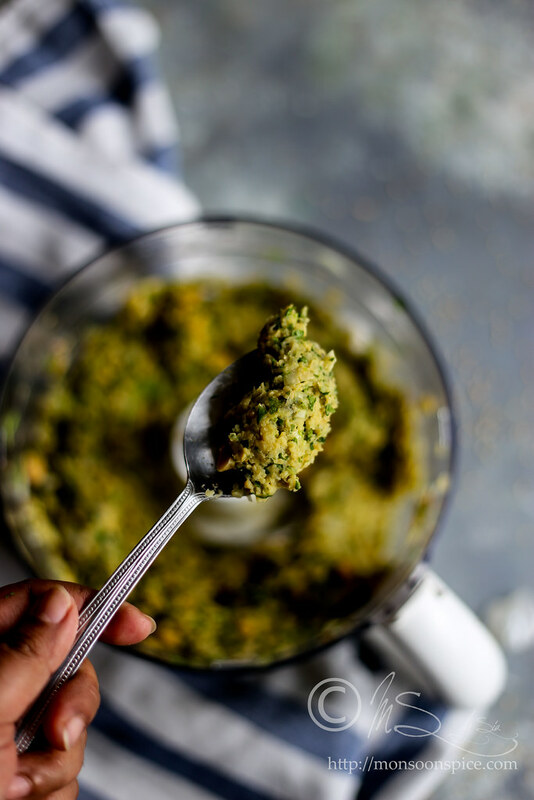 I personally prefer to crush and finely chop garlic cloves before adding to food processor to avoid from getting big chunks of garlic in falafel. The falafel mixture should be crumbly and coarse and not fine paste. So take care when processing the mixture in food processor. Adjust the amount of flour/corn flour/chickpea flour depending on how it holds when deep frying. To test, first drop just one chickpea ball into the fryer and see if it holds shape without breaking. If starts to break down and scatter, it means you need to add little more plain flour/corn flour/chickpea flour to the mixture. Add about ¼-½ cup of flour and repeat test again to see if it holds shape. If not, add some more flour to the mixture. Don’t crowd too many in a fryer as you will end up having half fried falafels. So best to fry them in small batches to get crispy, golden brown falafels. 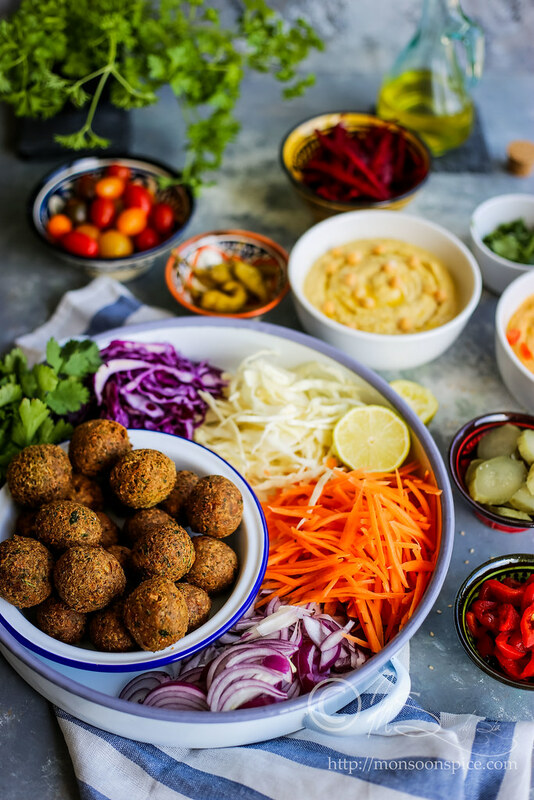 Its best to serve falafel fresh and hot, but you can refrigerate them for 2-3 days or even freeze them for up to a month. 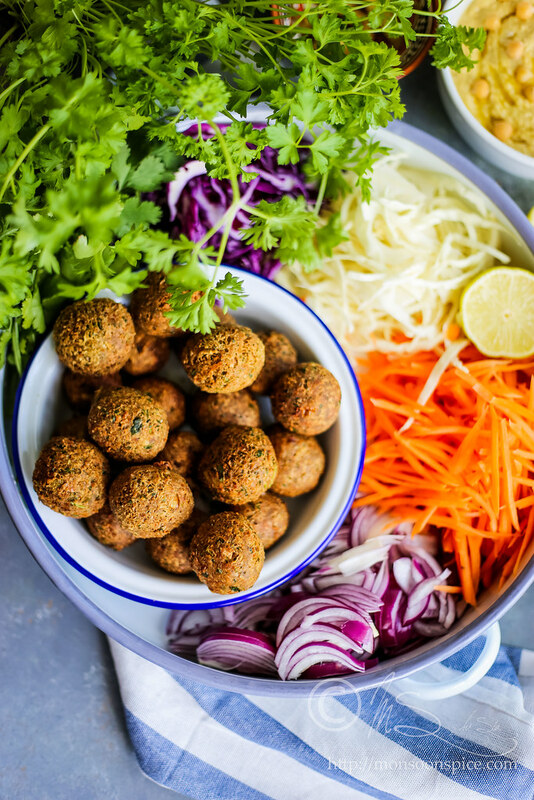 Best way to warm the falafel stored in fridge or freezer is to cook them in an oven. Preheat the oven at 200 deg C. Line the baking tray with aluminium foil or parchment paper and arrange the falafel in a row. Place them in an oven and let them cook on both sides for about 8 (stored in fridge) to 15 mins (frozen ones). 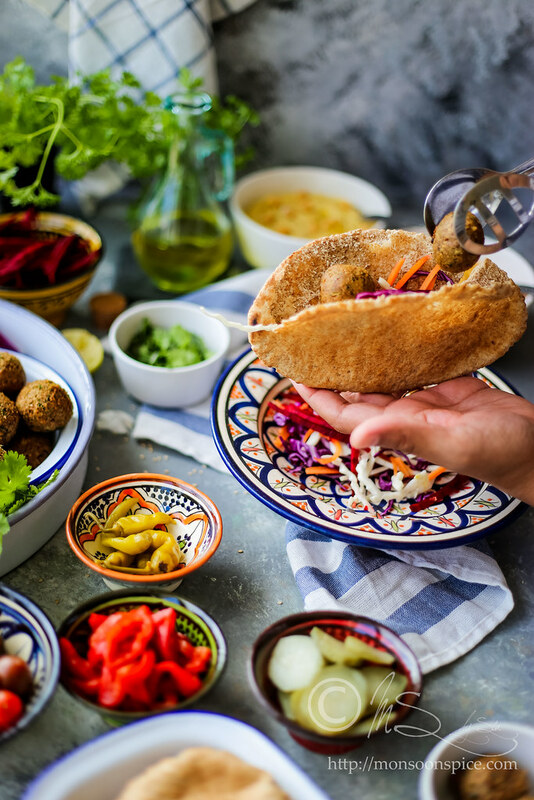 You can use either tortillas for making falafel wraps or pita bread or serve them with salad as a Buddha Bowl or Hippie Bowl. I have used thinly sliced white and purple cabbage, julienned carrots, sliced red onion, julienned beetroots, cherry tomatoes and finely chopped parsley and coriander leaves. I have also used sliced roasted red bell peppers, pickled chilli peppers, gherkins (pickled cucumbers) along with chickpeas and roasted bell pepper hummus to add punch of flavours. For wraps or pita sandwiches, warm the tortilla and pita bread. If using pitta, carefully slit the ends and open the pockets. 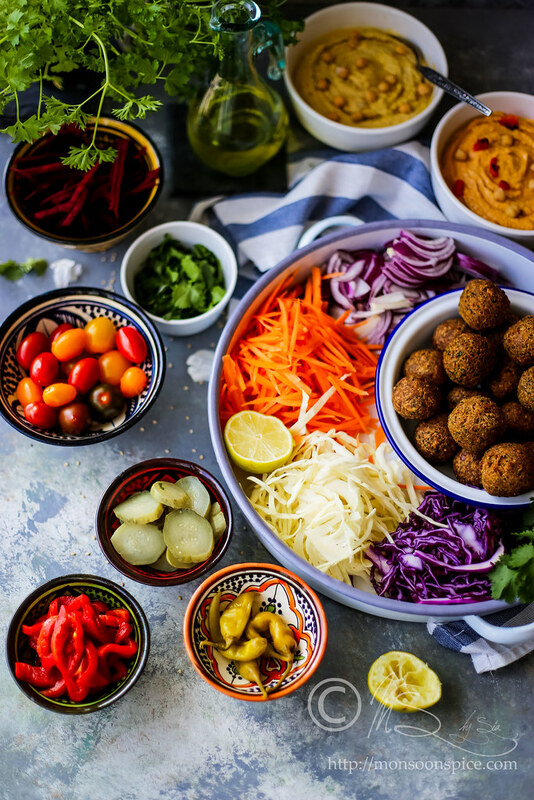 Start by spreading the hummus, followed by arranging the salad and finally with falafel balls. Top it with some more hummus and garnish them with pickled chillies, roasted bell pepper, gherkins and finely chopped parsley and coriander leaves. Thanks for the hummus recipe. I've been looking for a good one for some time and yours seem right on the money. Will give it a try and let you know. wow, sia. good stuff. we prepared the same thing. will post about them soon. Hi Sia, The Falafel looks so vibrant and colorful. Nice entry!! 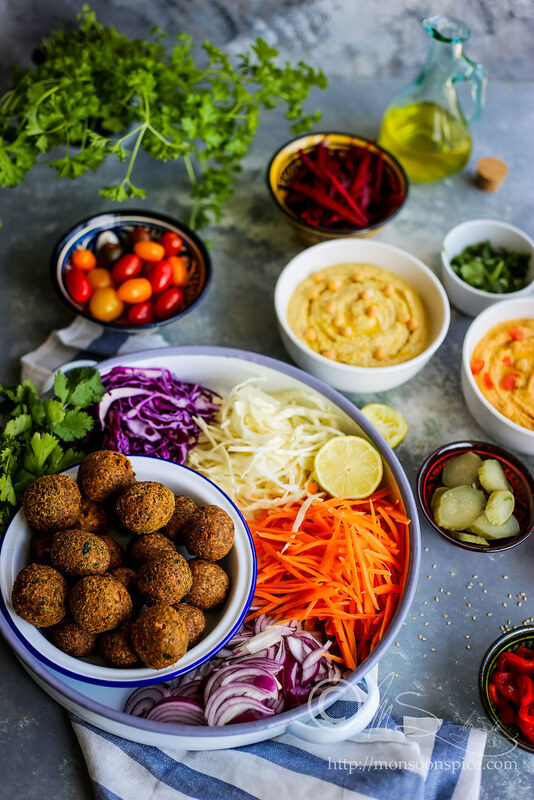 I just love Falafels especially with that tangy Indian Falafel sauce and some sriracha sauce! yum..but you know what, I don't stuff the fritters in the pita....I just crumble everything up and eat it like a salad..even the bread..tastes awesome. i didnt have my breakfast yet and your falafel are making me feel the teenie weenie bit of hunger lingering in my tummy, in an exaggerated fashion... hope i dont go straight to my cookie shelf now!! wow !!!! Everything looks so delicious. I want to take a bite from the falafel dipped in hummus.Anyways thanks for the elaborated explanation of the Arabic dish. And thanks a lot for the wonderful recipes too. glad this will be helpful for u lady:) do let me know how u like it. 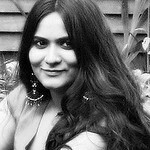 my last day sandeepa:( starting work from tomorrow. thanks lady:) entry for what? see who is talking:) which place do u suggest for the best mid-eastern cuisine in b'lore? indian falafel sauce? now thats someting i would love to try. do u get them in indian stores or any supermarkets? i will check them next time when i go for shopping. by the way do u have ur blog coz i cant find ur url here. Sia, that was yummy :). i made falafels last week-will try your recipe sometime soon.The pictures as usual are delish. I would also be interested in knowing about the Indian falafel sauce-never heard of it before.have seen Tahini and some sauces in Indian stores, but they ar all Middle Eastern. Sriracha sauce, someone in a mirchi fan :). WOW!! Arabic letters and everything.Cool.I love the Falafel,Tahini makes it even more tastier.Look great Sia.You have been frying forever now!! You could send this to Meeta,you know,deadline is 11th! Btw, who's talking about getting training from me, look at that design on the hummus and also those pepper fingers !! I too tried falafel once , I made it like balls and it was so nice. Your looks so colorful. Nice Entry Sia. 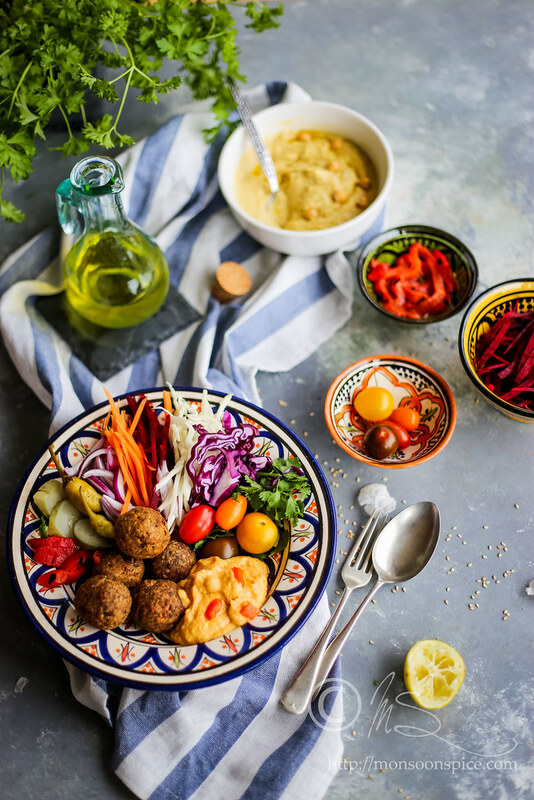 I love falafel.....and as always your presentation is beautiful...Falafel with Hummus looks Delicious.. I did have a chickpea-related plan this weekend, but didn't carry it out in the end. It's an Italian street snack called "panelle". Made it years ago but couldn't remember if I liked it, so maybe another day.. The falafel and hummus looks yummy! 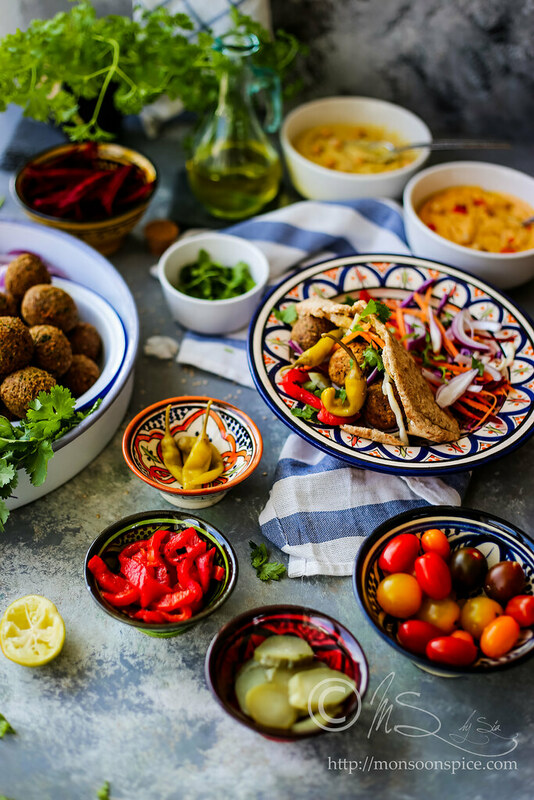 My husband and I love middle eastern food, but it has been a while we have eaten any. Falafel and hummus looks delicious. we try mediterranean food and love hummus.Have not tried falafel so far. i haven't tried this before, But looking at the picture definately will give it a try! Thanks for sharing dear..How is your new job? arabic words and all, cool stuff! when we get together with cousins we make this pretty often, we like ours HOT and have it with garlic sauce as well. Falafel with hummus is new to me . I have heard abt this but didn't have a chance to taste this.Looks inviting. BTW did u notice the yellowish orange colour in most of ur recipes...looks lovely. 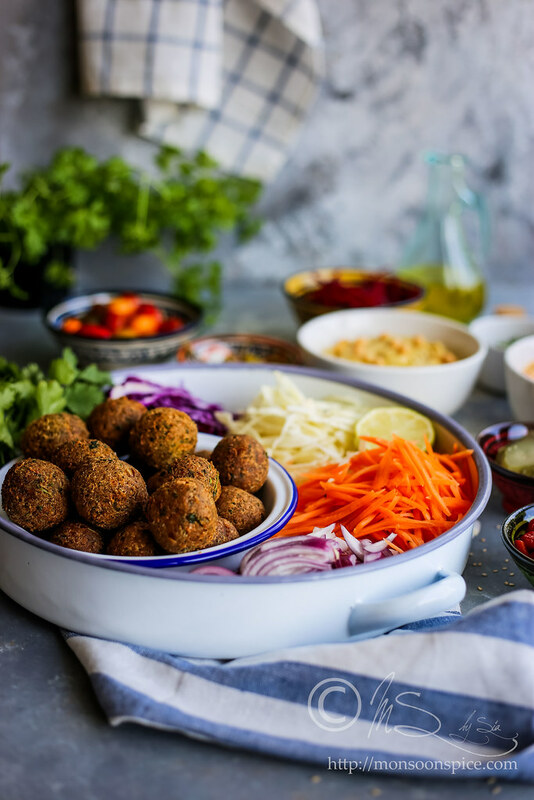 Here in almost all the cafeteria's these things are available,but I never tried that at home..Thanks for sharing the recipe..
i am not a big fan of falafel:) r u gonna post ur recipe for us? never seen any falafel indian sauce though. trupti did mention something abt it. will have to look out for that. do let me know how u like them:) have u tried making them at home before? thank u lady:) i checked ashakka's recipe while posting this. should have checked it before only coa it took me quite some time to go through many recipes and try this out. now i am all ears for ur panelle recipe. have u posted it in ur blog already? i am veryyyyyyyyy novice when it comes to italian cooking. ur blog is a gr8 place for that. oh do u? 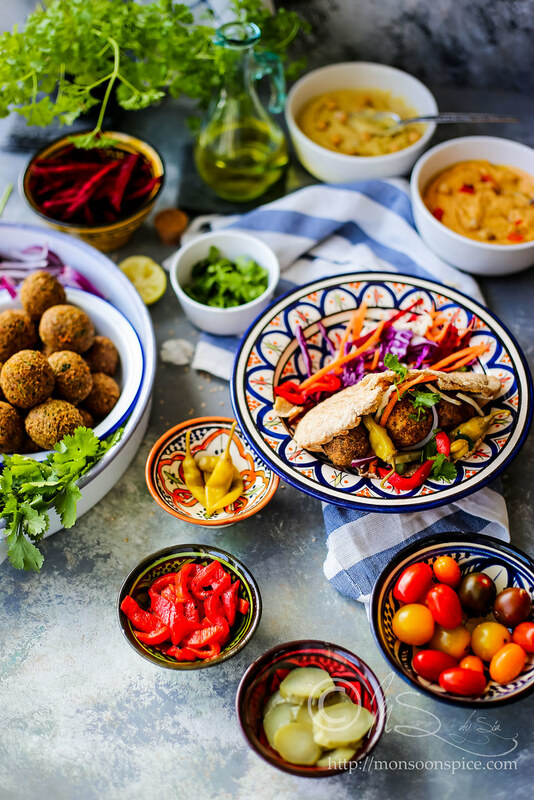 do share some middle eastern recipes with us. i haven't tried much of mid easten food. picture noodi try madbedi;) try it only if u like chickpeas:) i must confess that they r not my fav ones but my hubby loves them. that yellowish orange colour is due to artificial lighting prema. i usually take pics in the eve when i dont get any natural light. thank u lady:) do u have any other recipe for making them at home? Hi Sia! Even I don't get excited by falafel. Your pix r gorgeous, though, and I love how you arranged your peppers in a little fan in one of the photos! you back at work now? Neways, amazing dish and presentation..Finally, u r not stuffing anything:)..Btw, r u sending this to Meeta for the MM event?I think it's a perfect entry..
All the very best to you for the new job! Those falafels have such a pretty color. oh sorry yarr!! I thought this is perfect for Meeta's MM. so thought you were contributing. sorry again. I love falafel's. Back in CA we use to go to small dhaba kind of place, he makes amazing falafels and pita chips (fresh). Picture and recipe looks great. hi supriya, no i haven't made the panelle yet, but if it's of any help, i learned how to make it by googling! :) in fact, i google often for recipes, so you can do it, too! HEY!!! I made the same!!!! Will be posting it soon..... The pics look fab!!! and thank u for ur wishes. Just came across your site today and must say I am hooked on to the appetizing pictures put up by you and not forgetting the wonderful music which is playing at the background ! Pure instrumental with beautiful beats. Sia, Falafels are always welcome, favorite mideastern dish. Gorgeous pictures Sia! Your husband is one lucky guy. I ate hummus in a pub recently and it was so bad, I had to ask the chef whether he knew what Tahini was!! I love hummus. I have a post waiting to go up on this too. I guess we all like to eat similar things! Great falafel recepe, and the stuffed chillies look wicked. It all looks great, but I got to protest about the idea of making falafel from cooked chickpeas. This is all wrong! You should use dried chickpea, soak it for a night, make the burgers then deep-fry them. This way you get the right taste and texture. This may not be such a good combo from a health-perspective. Canned chickpeas in both the dip and the snack could be overwhelming and could cause a lot of intestinal gas. Made Hummus and Tahini from your recipe and we all loved it My DH and lil one gobbled it with some baked pita chips. Delicious and nutritious !! !